When Rowan Williams announced last year that he was retiring the media was abuzz with speculation over who would succeed him as Archbishop of Canterbury. The eventual choice – Justin Welby, Bishop of Durham – came as a big surprise to most observers, not least because Welby had only been a bishop for four months when Williams announced his intention to step down. 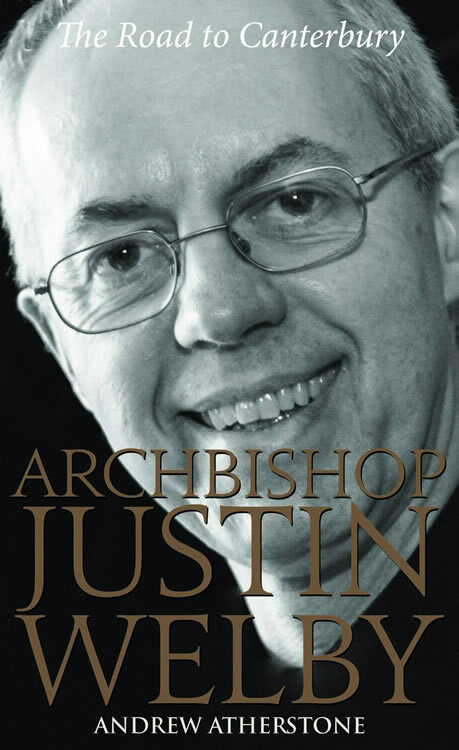 Who is Justin Welby? Where did he come from? What makes him tick? Will he be up to the job of holding the fractious Anglican communion together? Oxford don Andrew Atherstone makes a fine attempt to answer the first three questions. The jury’s out on the last one as he will need the wisdom of Solomon and the patience of Job and a lot more besides to sort out that mess. However, his reconciliation work in Nigeria, his background in business and his ministry in several parishes to date do allow for a certain cautious optimism. Welby grew up in a family that had been long a part of the Establishment. One of his great uncles had been a leading post-war Tory, R A B Butler. 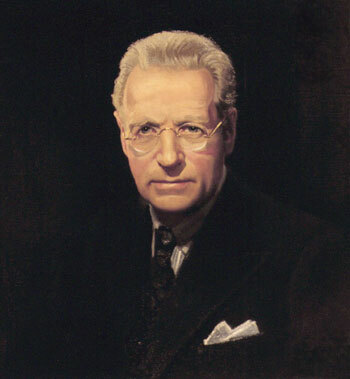 Butler had been Home Secretary, Chancellor of the Exchequer and Foreign Secretary in the 1950s and 60s. His mother, Jane Portal, was a secretary to Winston Churchill and in that role typed up the drafts of his six-volume history of the Second World War. His father, Gavin Welby, was a bit of a rake, once competing with Errol Flynn for the attentions of a millionaire heiress. Gavin and Jane eloped to America. Justin was a honeymoon baby who parents’ marriage soon failed. Justin stayed with his father and was packed off to boarding school at the age of eight. He attended Eton from1969 to 1973 when the school was at a low ebb and headed off to east Africa for a short gap year before beginning his studies at Trinity College, Cambridge. In Kenya he spent six mont hs teaching in a secondary school under the auspices of the Church Missionary Society. He had previously shown little interest in spiritual matters, but in Kenya he met and talked with Christians and began to read the Bible and think about questions of faith. In the months before Welby’s arrival at Cambridge in 1974, there had been a flurry of conversions to Christianity among the students. The local Christian Union was very lively, hosting visits from leading preachers, notably Rev David Watson from St Michael le Belfrey in York who led 12 people to make professions of faith in a single evening. Welby held out for over a year despite the efforts of many of his Christian friends until ‘the penny dropped’ for him and he ‘asked Jesus to be Lord of my life’. Shortly afterwards, he received a real sense of the deep love of God and began to sense a calling to ministry. As a young Christian, Welby attended the Round Church in Cambridge which plugged him into a network of leading evangelicals in the Anglican church, notably John Stott and David Sheppard. While at home away from university, he began to worship at Holy Trinity Brompton which had become a mainstay of the growing charismatic movement. Here he was introduce to a Cambridge student who was another new Christian, Caroline Eaton, who was to become his wife. After graduation and marriage Welby took a job with an oil company in Paris. During the holidays he became involved with a Christian group that smuggled Bibles to persecuted Christians in Hungary and East Germany using a campervan with secret compartments underneath a false floor. The Welbys know the pain and grief of losing a child. On the way back to England, their seven-month-old daughter was fatally injured in a road accident near Amiens. During his time as group treasurer of the recently privatised Enterprise Oil, Welby honed his management and leadership skills and began to think deeply about the ethics of finance and responsibility in business. He argued that companies are moral agents and are just as prone to sin as individuals. Biblical justice must include a sense of corporate accountability. Although well settled in a very well paid job which he enjoyed, Welby had a growing sense of call to the ministry. In 1988 he attended three days of interviews at a Derbyshire retreat house. He was asked by a bishop why he wanted to be ordained and replied that he didn’t as he was enjoying the job he was doing. Well, why was he there, then? Because he had been called by God. What would he do if he was turned down for ordination by the C of E? He’d go back to London and take the wife out for the most expensive meal he could afford to celebrate! He was accepted. His annual salary dropped from around £100,000 to less than a tenth of that; £9500 in 1989. He studied for the ministry in Cranmer College, part of the University of Durham. Here he became open to a wider variety of theology, worshipping and finding placements with churches that were mixed in theology, Anglo-Catholic or Charismatic in outlook. After ordination at Coventry Cathedral in 1992, his first parish was in a working class suburb of Nuneaton in Warwickshire. Here he launched youth work, children’s holiday clubs and pioneered the use of the Alpha Course, a basic introduction to Christianity that began in Holy Trinity Brompton and went nationwide in 1993 as a way to reach the unchurched. This trend of turning declining congregations around continued in his next charge, Southam, a rural market town in the same diocese. He restored the 700-year-old building, and introduced more modern forms of worship in the morning service in tandem with traditional Book of Common Prayer early morning communion services and evensong services. Part of this church growth strategy was also due to a revival of children’s and youth outreach and rolling Alpha Course programmes for adults. An interesting insight to Welby’s worldview can be gleaned from his regular ‘thoughts for the month’ published in the Southam Parish Church News. In this Welby expounded the line that, ‘The church is not a home for saints; Christians do not claim to be better than other folk, but they do claim that God has touched their lives and given new meaning to them.’ He had a high view of God’s grace and the necessity of forgiveness and the power of redemption and ‘a fresh start’ in the gospel message. Welby was orthodox in his view of Christ’s resurrection and made it clear that it was the job of the church to speak out on issues of social justice and in opposition to moral relativism. Welby was in great demand for his expertise in financial matters. He had been involved with the Association of Corporate Treasurers as its personal and ethics advisor and was invited to join the finance ethics group of the Von Hügel Institute. This Cambridge-based Catholic research organisation sought to apply the principles of social justice, human dignity and ideas of the ‘common good’ in Pope Leo XIII’s encyclical Rerum Novarum (published in English as The Workers’ Charter) to everyday life. This brought him into contact with Catholic economists and theologians in Europe and give him a higher view of the power of the sacraments than he had hitherto been familiar. In 2002 he moved to Coventry Cathedral in order to direct the cathedral’s International Centre for Reconciliation. This brought him to conflict zones in Israel, Palestine, Iraq, Nigeria and Burundi. Welby focused on reconciliation work in Nigeria which he already knew from his time as an executive with an oil company. At times his life was in real danger from AK47-toting gunmen. Welby argued that the church ought to be ‘the body of reconciled reconcilers’ and Christians should not just receive reconciliation but become sources of ‘rivers of reconciliation’ to places of conflict and trauma. By 2005, the funding ran out for Coventry’s ICR and it collapsed. The international ministry was drastically cut and a new focus was sought. This was one of the greatest disappointments of Welby’s ministry to date. He began to work out a means of reconciling differences between Christians and conducting arguments and disagreements in the spirit of 2 Timothy 2: 24-25, ‘the Lord’s servant must not be quarrelsome but kindly to everyone… correcting opponents with gentleness…'(Welby’s emphasis). In 2007, Welby was appointed as the Dean of Liverpool Cathedral. Welby’s task was to overcome financial shortfalls and division and disharmony in the cathedral’s Chapter. Sorting this out was a challenge to his background in finance and his ministry of reconciliation. Some of his ideas were controversial but he did raise the cathedral’s profile in the city, reach new people and introduce a variety of forms of worship, m anage to start a theological school and envisage an ecumenical religious community. During this time he acted as an envoy to Kenya in the aftermath of violence during the 2008 election campaign and he became involved with Anglican Communion affairs in an attempt to deal with its own deep divisions and conflict. He became Archbishop Rowan Williams’ special envoy to American Episcopalians, Nigerian Christians facing persecution and murder and he facilitated a meeting of primates in Dublin in order to tackle some of the serious issues threatening to tear worldwide Anglicanism apart most notably the ordination of woman bishops and attitudes to sexuality. Welby’s time at Durham was too brief for him to have made his mark as a newly-minted bishop. He seems to have a realistic view of the parlous state of the Church of England and the wider Anglican Communion, ‘We are divided, often savagely. We are battered. We are weak… The church is not a rest home for saints, it is a lifeboat for sinners. And when you stick loads of sinners together, perhaps especially Anglican sinners, you don’t get a saintly church…’ He was quite impressed by the American Episcopal Church after attending its July 2012 gathering of its House of Bishops. He thought that they managed disagreement better and were closer to his own motto of ‘diversity without enmity’. The thorny issues that plagued his predecessor haven’t gone away. Welby might be able to sort things out. He might not. Time will tell whether or not Welby will be a reconciling Archbishop of Canterbury or the man who presides over the final fracturing and schism of worldwide Anglicanism.